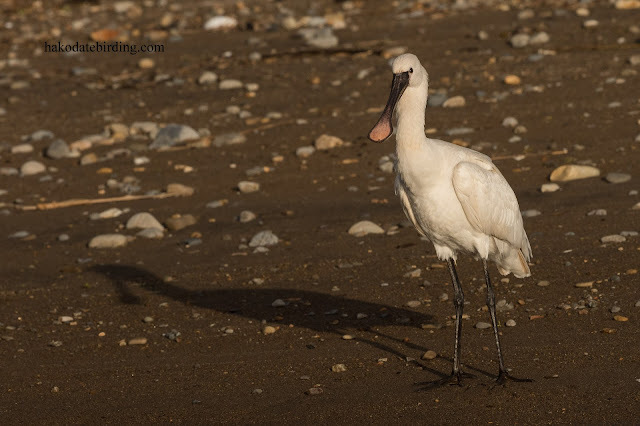 Amazingly, a different Spoonbill appeared on Thursday............the third of the week. 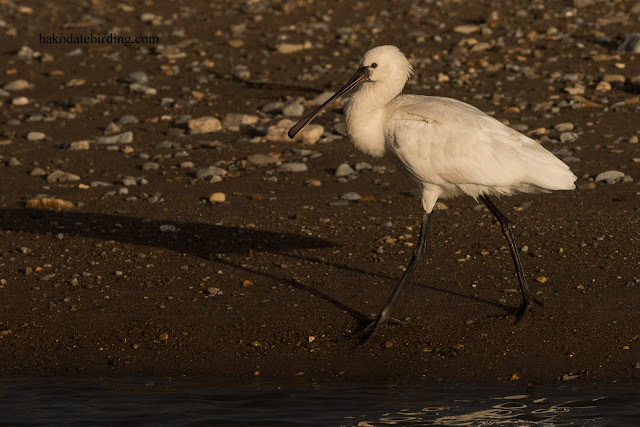 It was another Eurasian Spoonbill, the bill is different from the one earlier in the week, it's pinkish which I think means an immature. 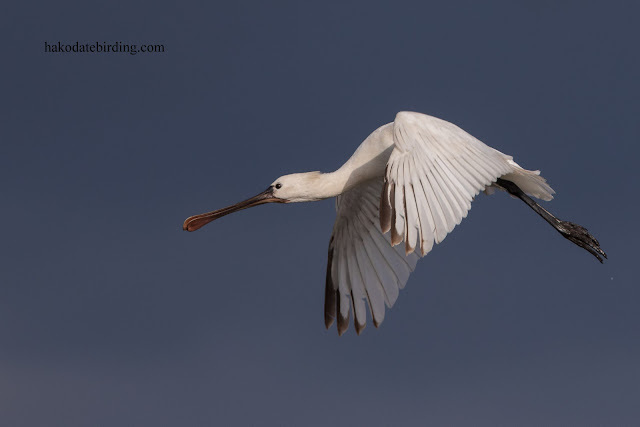 The light was much better than a couple of days ago. 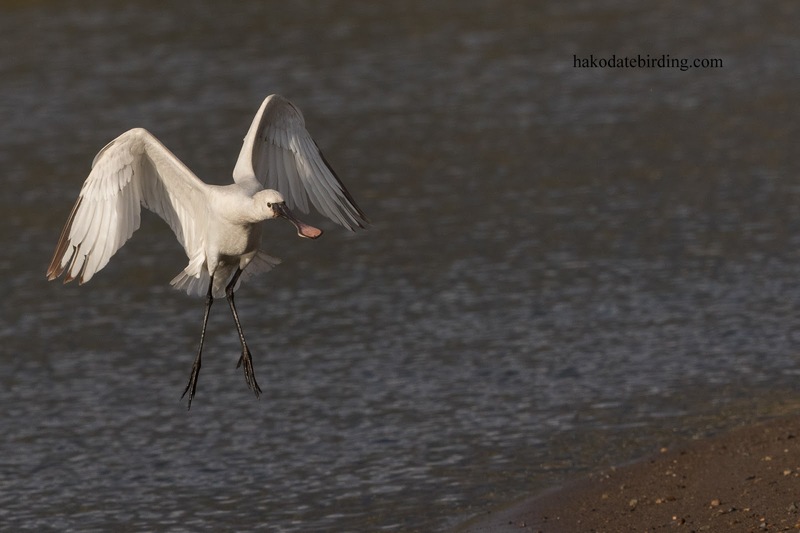 When we arrived it must have just flown in off the sea and it was being mobbed by a crow. 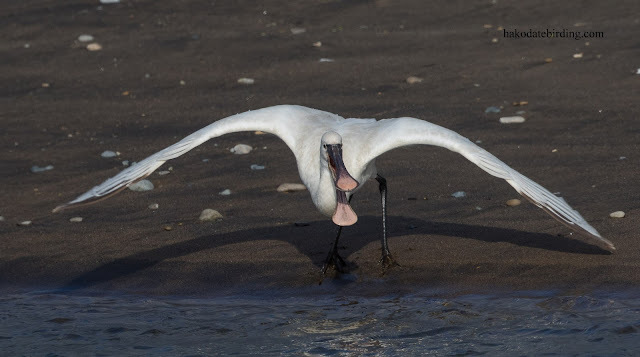 It does look comical with its mouth open. 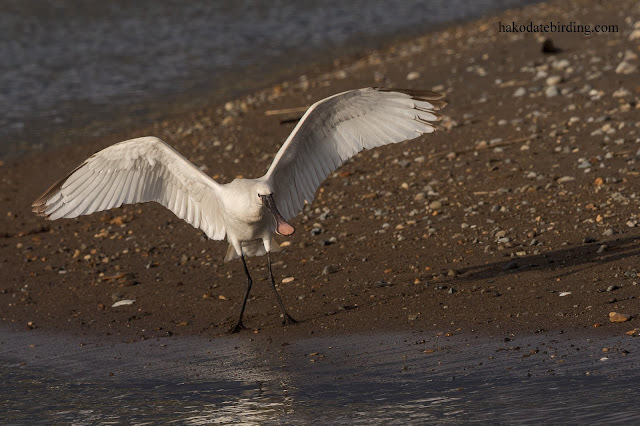 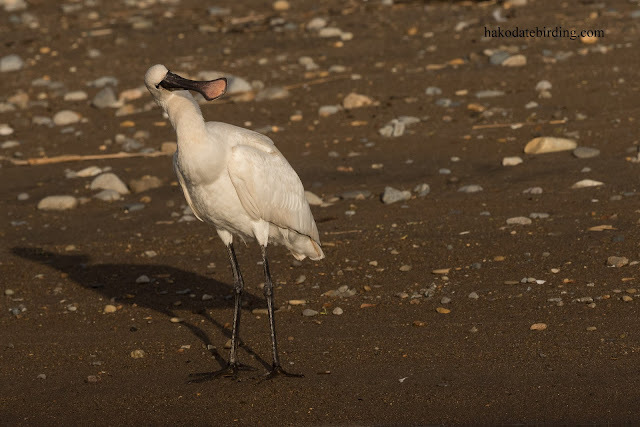 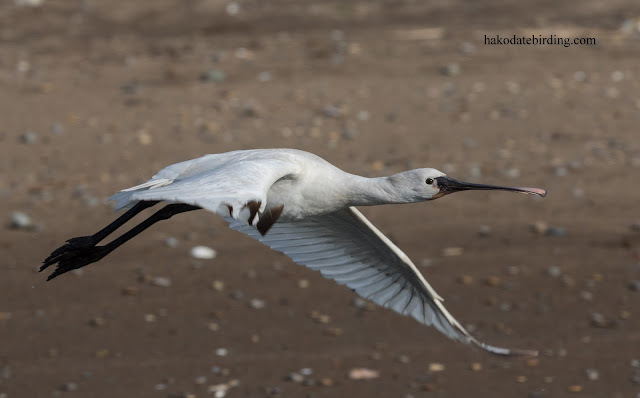 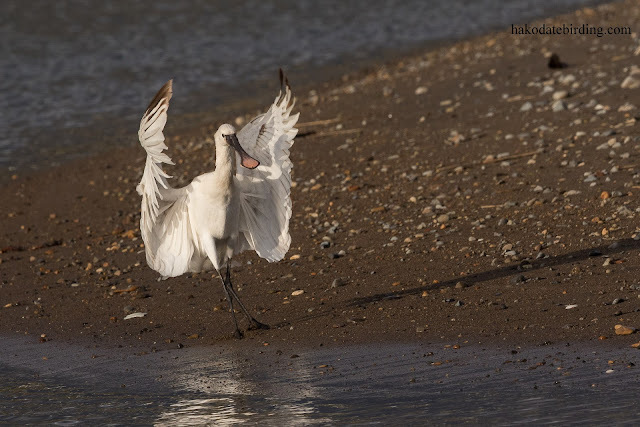 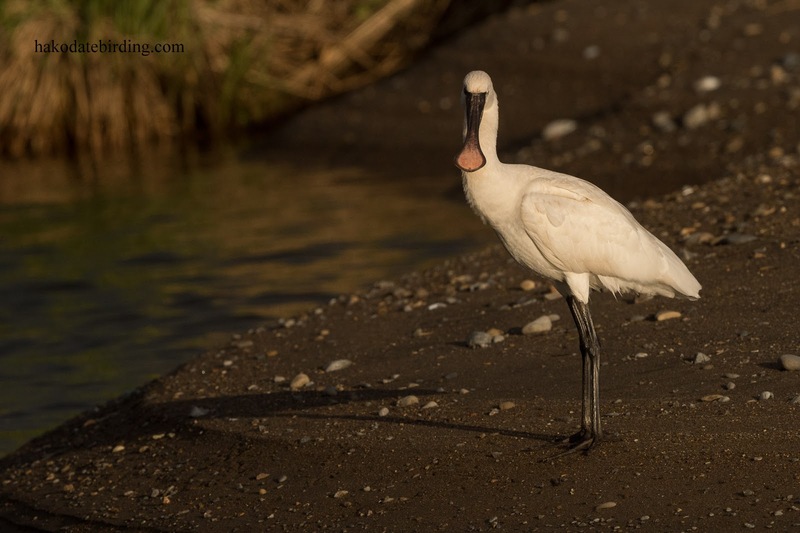 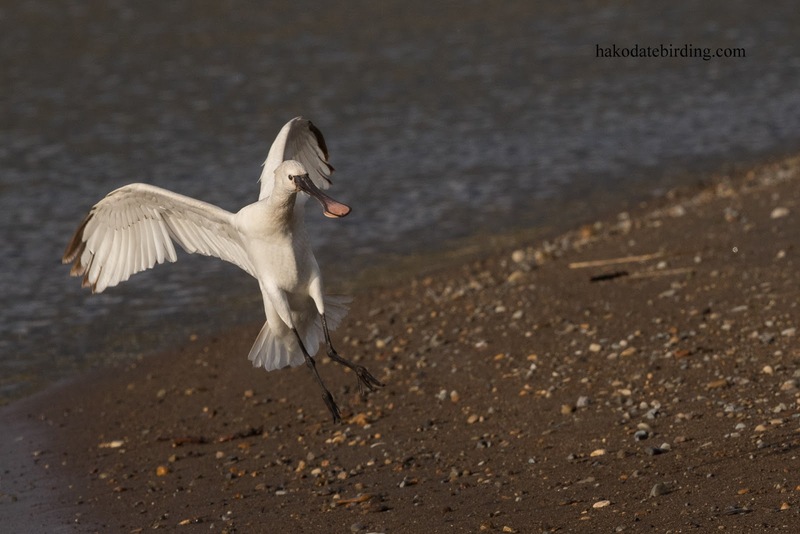 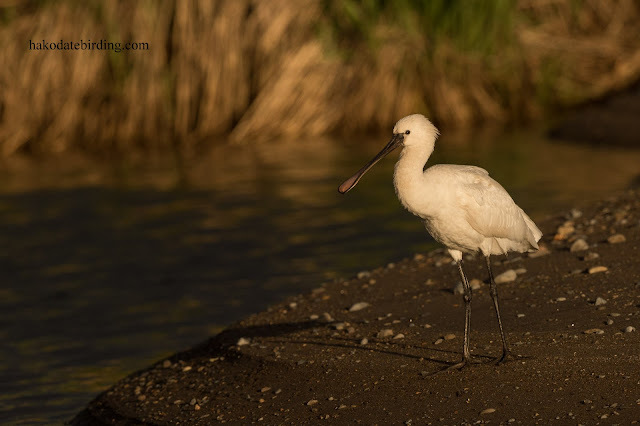 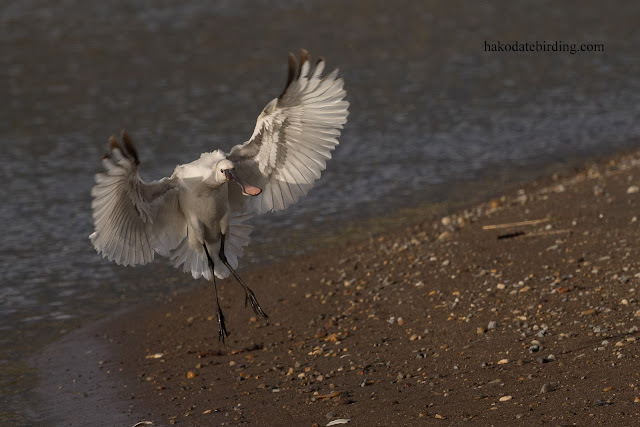 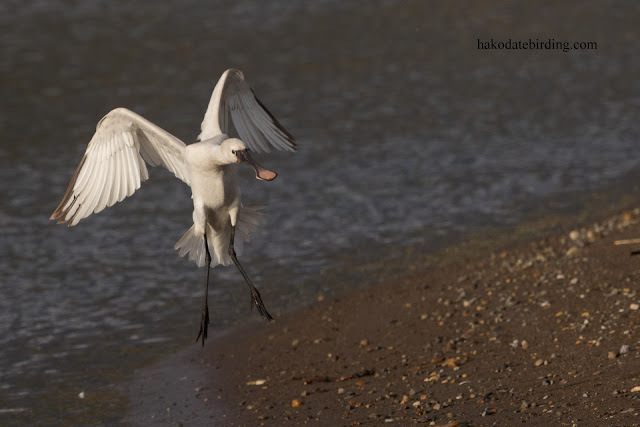 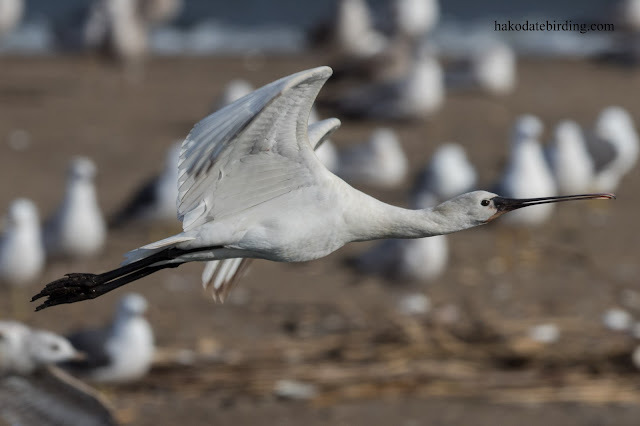 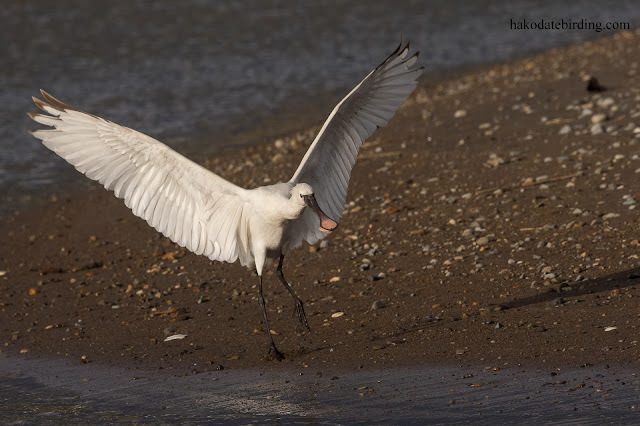 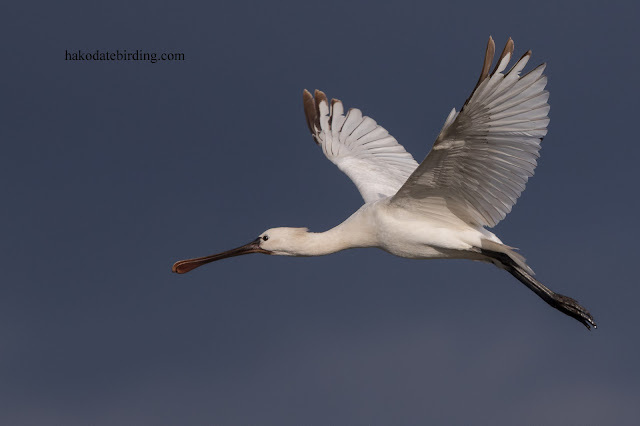 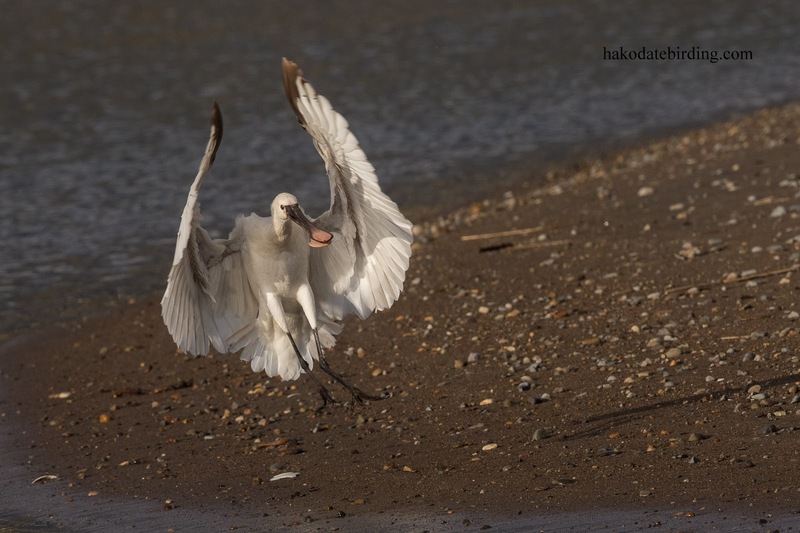 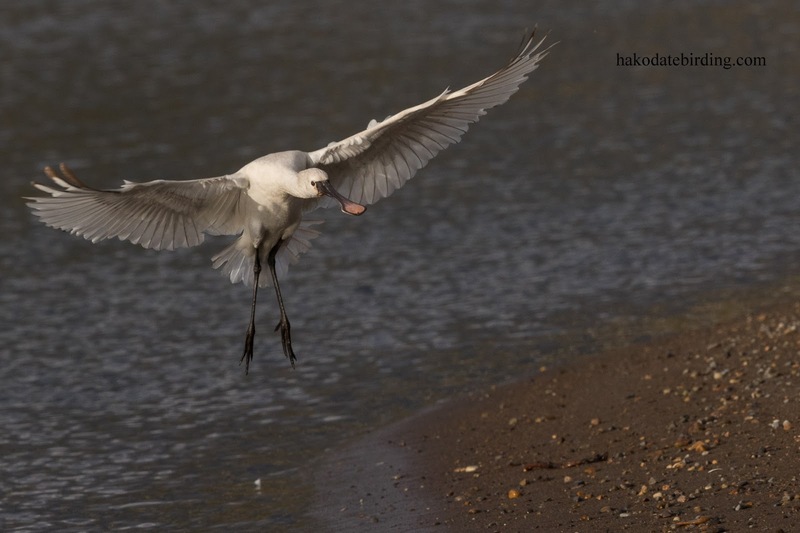 I wonder how many other spoonbills have been turnig up in Hokkaido? 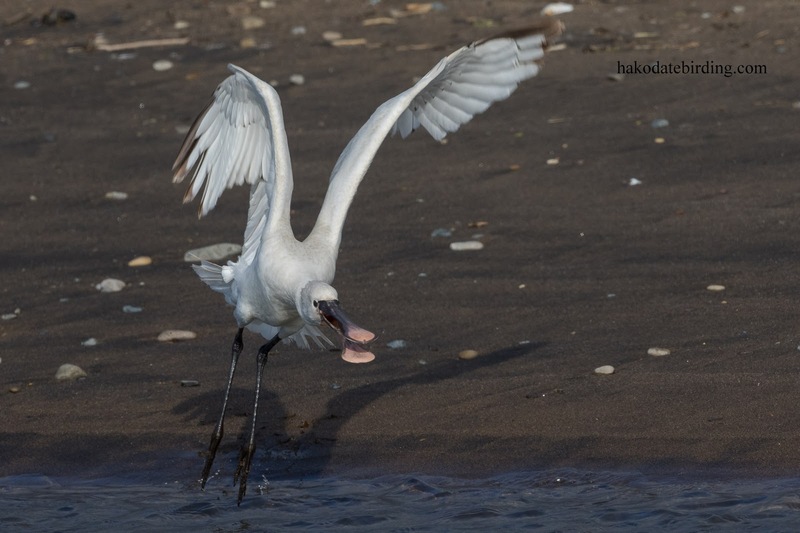 I guess we could say you are really getting spoon fed these days! Blackish wingtips are a good sign of an immature....I think the bill darkness is variable. 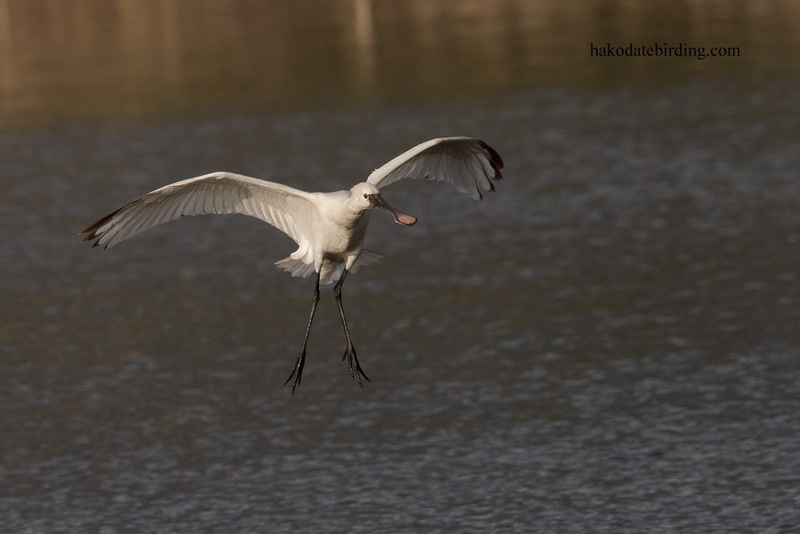 Nice shots.